It is not easy being a municipality (such as a city or village) in Ohio these days. With the Ohio estate tax having been repealed several years ago and state funds cut to a trickle, it is difficult to make ends meet; especially in “bedroom communities” without a business tax base. Residents, of course still want the same level of health, safety and welfare services they have enjoyed over the years. Seemingly, as funds continue to dwindle, so does the power to regulate. 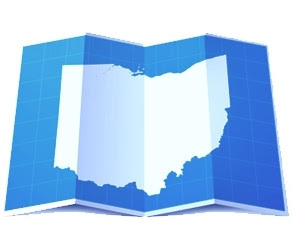 Even though Article XVIII of the Ohio Constitution gives municipalities the power of “Home Rule” (special authority to create laws and take action regarding local self-government, exercise of police powers and operation of public utilities, that have not been specifically granted to the State of Ohio), this power is slowly but surely being limited. For example, due to relatively recent legislation, municipalities in Ohio cannot regulate guns in public places, where oil and gas wells are situated, and how taxes are levied and collected. Recently, municipalities in Ohio are facing claims that they have violated the Fourth Amendment via unconstitutional “point of sale” ordinances. While this type of ordinance can take many forms, the most common makes it unlawful to transfer ownership of any real estate, or lease to a new tenant, without having obtained a pre-sale inspection of the property under the applicable municipal code. The pre-sale inspection procedure usually requires the property owner to complete an application, schedule and appear for an inspection of the property with the code official, pay an inspection fee, and correct or otherwise address identified violations of the municipality’s fire, zoning, building, and property maintenance codes in order to obtain a certificate of occupancy authorizing the property’s sale or rental. The violation of pre-sale inspection requirements in this type of ordinance is usually punishable as a misdemeanor. Municipalities usually defend their point of sale ordinances as valuable tools to increase the value of properties within their borders, and ensure such properties and the residents occupying the same will be and remain safe. While these ordinances often contain a “criminal component”, municipalities rarely enforce the criminal penalties, but deem them necessary to cause compliance. Notwithstanding the laudable intentions behind this type of point of sale ordinance, and the usual reluctance of municipalities to enforce the criminal penalties associated therewith, the United States District Court for the Southern District of Ohio in Thompson V. City of Oakwood, Case No. 3:16-cv-169 (S.D. Ohio Feb 9, 2018) has recently held the (former) point of sale ordinance in Oakwood, Ohio (suburb of Dayton) has been an unconstitutional violation of the Fourth Amendment of the U.S. Constitution. Plaintiffs Jason Thompson and 2408 Hillview LLC (a company formed by Thompson and a partner to buy and sell homes) own and sell residential homes in Oakwood, Ohio. The LLC engaged an agent of Re/Max to act as the sellers’/plaintiffs’ agent in the sale of their property. The agency agreement required the property owner to apply for any required housing inspections and to furnish a copy of the certificate of occupancy. The agent paid the $60 application fee and scheduled an inspection, which inspection revealed some issues that needed to be addressed to comply with the City of Oakwood Building Code. The issues were promptly addressed and a final inspection was scheduled. During the final inspection, the building inspector asked for permission to inspect the garage, which was inaccessible during the first inspection. Permission was denied, and Ethan Kroger, the building official therefore, did not inspect the garage. The plaintiffs then brought an action in May, 2016 under 42 U.S.C. § 1983 (a civil action for the deprivation of constitutional/civil rights) against the City of Oakwood and Mr. Kroger, for allegedly infringing the plaintiffs’ constitutional rights by requiring them to submit to warrantless searches or risk criminal punishment before permitting them to sell their homes. The ordinance at issue (Oakwood Codified Ordinance § 17-107.5) provided that, “it shall be unlawful for the owner of any real estate premises to transfer legal or equitable ownership of that premises, or change tenants, without having obtained a pre-sale inspection of it under this code.” The ordinance further provided that upon completion of the inspection and other requirements, an owner could obtain a “certificate of occupancy”, which was necessary because, it was illegal, per the ordinance for a new owner or tenant to occupy any premises, “without having obtained from the code official or the previous owner a valid certificate of occupancy ...” In addition, under § 17-106.4 of the Oakwood Code, an owner who failed to comply with the pre-sale inspection or occupied a premises without having obtained a certificate of occupancy was guilty of a minor misdemeanor. It is important to note that approximately two months after the plaintiffs’ action was filed, the City of Oakwood passed an emergency ordinance that repealed the then existing pre-sale inspection ordinance and replaced it with a new one. The new ordinance adds an administrative warrant procedure for residential and business inspections and clarifies that asserting rights under the Fourth Amendment will not trigger criminal penalties. Generally, Oakwood credited its point of sale ordinance with encouraging residents to maintain their homes, increasing home values and decreasing the number of fires and structural failures. The City of Oakwood also pointed out that: a) its property maintenance code contains an administrative appeal procedure for property owners to challenge any decision or order of a code official, and no Oakwood property owner (including plaintiffs), has filed an administrative appeal challenging the point of sale ordinance; b) Oakwood has never denied a property owner an occupancy permit or cited a property owner for failure to comply with the pre-sale inspection requirement, and c) to its knowledge, no other owner has objected to the ordinance. The City of Oakwood did acknowledge, however that it has informed at least two property owners— (the plaintiffs) that failure to have a pre-sale inspection was a misdemeanor. Specifically, the city argued that: 1) it was entitled to summary judgment on Plaintiffs’ § 1983 claims because its amended ordinance rendered moot, the plaintiffs’ claim; 2) it did not commit any constitutional violation because the plaintiffs consented (through their real estate agent) to the pre-sale inspection; 3) the plaintiffs relied on inadmissible evidence and failed to address the history of the pre-sale inspection ordinance; and 4) Oakwood’s code enforcement officer did not commit any constitutional violation and, even if he did, he would be entitled to qualified immunity. To address the defendant’s claim that no damages should be awarded (because plaintiffs consented to the search, and accordingly did not violate the Fourth Amendment), the court in Thompson first summarized the general rule of (and quoted precedent with regard to) such amendment, before evaluating whether or not the general exception to the general rule (namely, that consented-to searches do not require a warrant) applied. The court in Thompson then gave two examples of unconstitutional, point of sale ordinances that authorized warrantless, unconsented-to inspections to enforce city codes. Namely, the San Francisco building code ordinance at issue in the Camara case, and the Portsmouth [Ohio] Rental Dwelling Code at issue in Baker v. City of Portsmouth, No. 1: 2015 WL 5822659 (S.D. Ohio Oct. 1, 2015). As in the Oakwood ordinance, the San Francisco and Portsmouth ordinances required applications to the applicable municipal authority for an occupancy permit (in order to sell, with regard to Camara; and to rent with regard to Portsmouth), a fee was charged, a city official approved or denied the permit based on an inspection, and failure to consent to the warrantless inspection was punishable as a criminal offense. According to the court in Thompson, the United States Supreme Court’s decision in Camara and its progeny establish that a municipality violates the Fourth Amendment of the U.S. Constitution when it requires a property owner to consent to a warrantless inspection of their property or face a criminal penalty, unless a valid exception to the warrant requirement exists. The defendant and its counsel in Thompson were certainly aware of the consent exception, and used it to justify their argument for summary judgement in their favor (recall the plaintiffs’ real estate agent consented to the inspection of the plaintiffs’ property; the agent just asked it not include a search of the garage). As to defendant’s claim that plaintiffs consented to the search, the court in Thomson first recognized and agreed that consent to search is in fact a well-established exception to the Fourth Amendment’s warrant requirement… in general. The plaintiffs argued that, “the denial of a certificate of occupancy and criminal penalty that could result from a failure to consent are so coercive that any consent given cannot be deemed voluntary,” and accordingly, the exception should not apply. --Holding of Thompson V. City of Oakwood-Specifically, the court in Thompson ruled as follows: “1. Plaintiffs are granted summary judgment as to liability on their (a) § 1983 claim under the Fourth Amendment against Oakwood only, (b) § 1983 claim under the unconstitutional conditions doctrine against Oakwood only, and (c) unjust enrichment/restitution claim against Oakwood; 2. Mr. Kroger is granted summary judgment in his favor as he is entitled to qualified immunity on both of Plaintiffs’ § 1983 claims; and 3. The Court certifies the following class under Fed. R. Civ. P. 23(b)(3): All individuals and businesses that have (1) sold houses within the City of Oakwood since May 25, 2010; and (2) paid pre-sale inspection fees to the City of Oakwood in conjunction with the sale of their houses. As provided in Thompson V. City of Oakwood, however, it seems that point of sale ordinances that call for criminal penalties (whether or not actually enforced) will most likely be held unconstitutional, at least where no administrative warrant procedure is provided. In other words, for those municipalities who have not yet done so, it is time to revise. For those municipalities thinking jurisdictionally, think again. The 1851 Center for Constitutional Law (the "Center") has also filed a lawsuit in the Northern District of Ohio against the City of Bedford (outside Cleveland, Ohio) with regard to a similar point of sale ordinance. Stay tuned.